The ones making the sports bets are usually the fans themselves; it appeals to them because it’s unlike any other bet you make at a casino. There is no fixed house edge where the casino is going to take in a certain percentage. Sports betting is more similar to poker – it takes skill and studying the game to excel at it. No matter what your favorite sport to bet on or what your reason for betting is, the concept can be applied to all. It’s no secret that roughly 90% of all sports gamblers will lose money throughout the year, so to beat the odds, here is a step-by-step guide on how to profit on sports betting. Before you can even place the bet, you should have a basic understanding of the sport, the rules, and betting system it has in place. The things you can bet on can change drastically from sport to sport. Therefore, you should research to find out who the key influencers and game-changers are as they will affect your betting. While being knowledgeable can help your betting, it isn’t necessary as long as you can successfully assess the odds and risks. Being able to recognize those risks is a critical skill that you should enhance. Knowing the lingo can help as well. When many people hear “point spread,” they might think that it is the predicted margin of victory that one team will beat another team. Not fully understanding this concept can trip you. The line is a prediction of what number will be required to split the wagering evenly on both teams. Therefore, you will see that this number could change drastically before game day and is not something you should base all your decisions on. Setting real expectations is probably one of the most essential steps. There is no get rich quick or minimal work that will go into making sports bets. If you are in it as a way to save your finances, then you will end up disappointed. Bankroll management should be broken down into three stages. The first stage is when you set a budget based on how much money you are prepared to lose. That money will be used only to bet on sports. Next, you must establish an individual set of rules that dictate how much you will bet on any given wager. Review your overall budget and your betting goals to understand what you should be wagering. Finally, the third stage is when you put the first two stages into action. It isn’t easy to always follow it, but by practicing good bankroll management, you can start to see a profit. When you are making bets, even if it is a “sure thing,” you must understand the value first of the bet. If there is no value, then there is no point in making a bet. While it might seem like the outcome is certain, is the probability of them winning better than the offered odds? If there is no value, then this is a bet you should walk away from it. Once you can recognize bets with value, you can start to capitalize. You can see when the odds are too high and skip bets when you have unfavorable odds. Learning to walk away from a bet is one of the best ways to become successful at betting. You are not required to bet on every available match because the odds won’t be the same for you consistently. However, the odds will stay consistent for the bookkeeper so make sure your bet has value. Now that your fundamentals are strong, it is time to find the right bookkeeper for you. There are some bookkeepers out there that won’t let you win and will limit the ability of their clients to profit. Research to find the right one for you and try several out. You can use resources like Slots Zarto find a reputable online casino. One of the best places to find a great value opportunity is when the general public is completely wrong about an outcome. Try to find events that are attracting more attention than usual where more people will be placing bets who know almost nothing. 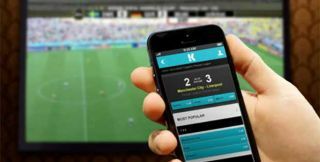 Events like the Superbowl, World Series, and El Clasico can be events where you can put your betting strategy to the test. Let go of your emotions and set reasonable expectations to excel at sports betting. By looking at the odds and determining the value, you can turn this into a profitable hobby.